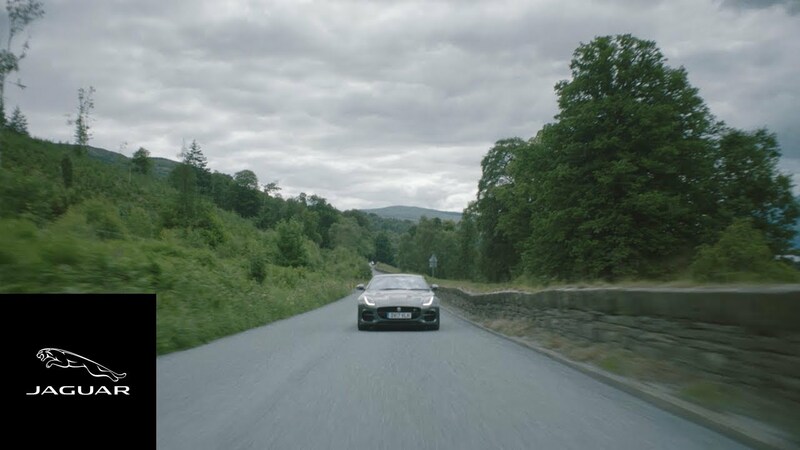 Jaguar released a new online commercial that also marks the connection between the small towns of Boring, Oregon in the USA and Dull in Perthshire, Scotland. Jaguar's USA publicity team came up with the idea. Taking part in the ad from Dull are friends Rebecca Deboys and Laura McHardy seen test-driving the new F-Type model. Dull is a village on the north bank of the river Tay. 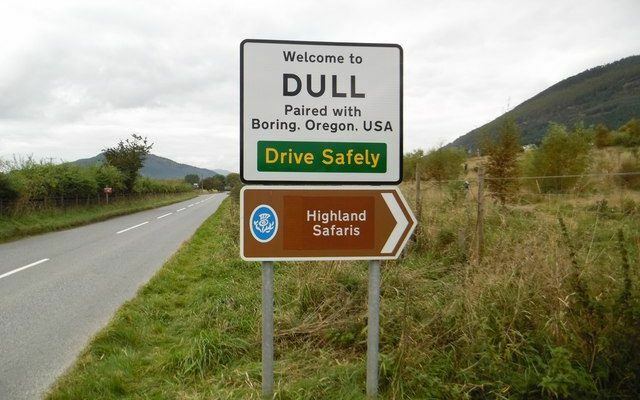 In addition to being twinned with Boring, Oregon, it’s also a member of the League of Extraordinary Communities with Bland, New South Wales, Australia, thanks to Dull and Weem Community Council getting together with its counterparts across the oceans. It’s name may be connected with a Gaelic word and withies or willow tree branches shown on the hearse of St Adomnán from the 700’s who founded a monastery that became the site of present-day parish church. 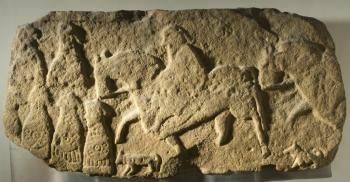 Graves have been found from that early period covered with stone slabs with Pictish carvings of warriors and horsemen. Highland Perthshire provided a stunning backdrop as the tour took in locations like Kenmore and its sandy beach on the shores of Loch Tay. 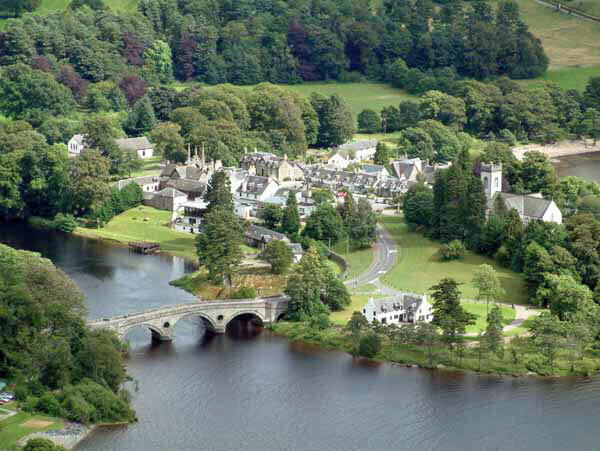 There's more about Kenmore at Highland Perthshire. The humour would certainly have appealed to the famous Monty Python comedy team who filmed scenes for Monty Python and the Holy Grail near Kenmore at a cave and former mine, Tomnadashan.